Manchester United are still on the international break, but its end is getting closer. After the Tuesday matches across Europe, the players will be heading back, as this set of international matches ends. The final day of the national teams’ action is behind us and Manchester United fans will be turning their attention to the Premier League once a again, as Man United’s next match is just four days away, when the boys will visit Vicarage Road. However, this international break was more interesting than usual, with the start of the UEFA Nations League. Everyone was looking to understand the new competition that has been created in order to decrease the number of friendly matches and increase the number of meaningful matches that could earn teams money, better FIFA rank and, most importantly, a place at the 2020 UEFA Euro. Also, the qualifying pots will be decided by the results in Nations League. Manchester United players in action on Tuesday night all had great results – three wins from three matches without a single goal conceded. First and foremost, this was a great night for Romelu Lukaku. The Belgian striker scored twice for his national team against Iceland. Belgium won the match 3-0 away from home, securing a successful start in the new competition. Eden Hazard scored the opener, before Lukaku added a brace to secure a well deserved victory. Romelu Lukaku, thus, scored his 42nd goal for the national team with just 77 matches under his belt. Let’s not forget that he is still 25 years old and in front of him are five or six years at the very least as Belgium’s (probable) first choice upfront and that record could be altered and improved countless times. However, Belgium are still in second in this group, as Switzerland have a better goal-difference. Their victory over Iceland was 6-0, so Belgium will need to bring their A game against the Swiss when they meet in October. 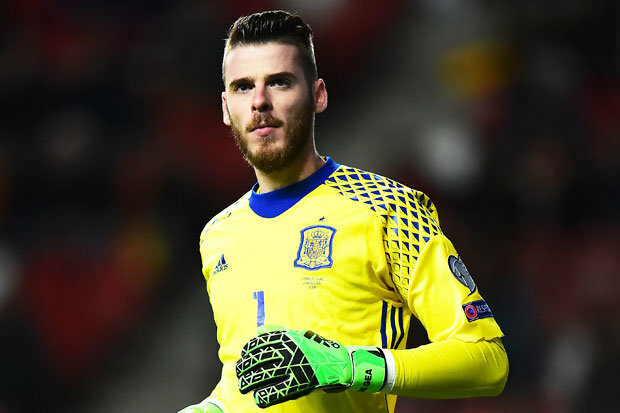 David De Gea did very well against World Cup runners-up, but his team-mates did even better. It was 6-0 for Spain in Elche, an incredibly comfortable win and Croatia’s biggest loss ever. De Gea, therefore, earned a clean-sheet in a match where he had to make two saves, both in the early period of the match. Apart from that start, he did not have much to do, as Marco Asensio had his show – scoring twice and assisting another three goals. After beating England, Spain are very close to reaching the Final Four of Nations League in June 2019. It was a friendly match, it was not that pretty, but a win is a win. England managed to beat Switzerland 1-0 and that was thanks to Manchester United’s Marcus Rashford. The Red Devil scored the only goal, which was not only enough for a win, but for his first consecutive matches in which he scored for England. It was a decent finish on the far post. Rashford played all 90 minutes for England, while Jesse Lingard came on for Ruben Loftus-Cheek, featuring in the final half hour.